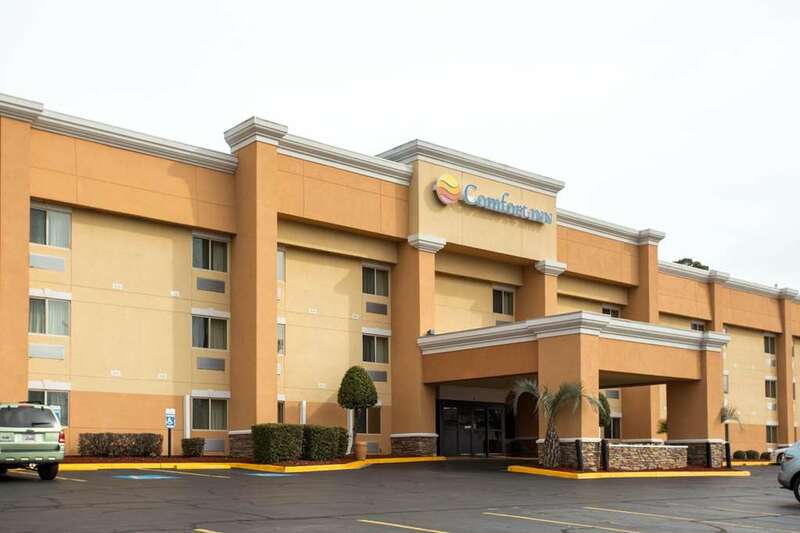 The Comfort Inn in Columbia, SC will help get you rested and ready for anything. When traveling for business, you will appreciate our proximity to the Columbia Metropolitan Convention Center so you can attend a conference with ease. Corporate travelers can get work done in our business center, with access to copy and fax services. We also offer free WiFi, as well as free hot breakfast, free coffee, weekday newspaper, an exercise room, outdoor pool and laundry facilities. All guestrooms feature flat-screen TVs, hair dryers, coffee makers, desks, irons, ironing boards, microwaves and refrigerators. Also, earn rewards including free nights and gift cards with our Choice Privileges Rewards program. Pets allowed 15.00 USD per night, per pet. A maximum of 2 pets per room and a maximum of 20 lbs or less. Limited pet rooms available. Guests must call prior to booking to verify pet-friendly accommodations. Pets can not be left in our rooms alone. 100.00 USD credit card authorization or cash REQUIRED Deposit for all cash paying guests.